Governor Nasir el-Rufai of Kaduna State has boasted that his outstanding achievements in the past three and a half years would naturally take care of his reelection come March 2018. 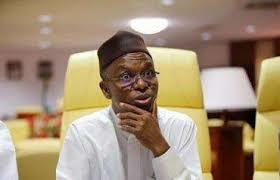 The governor, who said this yesterday, while speaking as guest of honor at the 2018 National Council On Finance and Economic Development (NACOFED) conference, holding in Kaduna, added that his reelection is almost a done deal, despite the risks he took on his path to make Kaduna the number one State in Northern Nigeria. He said his administration, in the past three and a half years, undertook far reaching reforms in the education, economic and health sectors with outstanding results for all to see. He said his immediate and utmost priority was to put the state on the right track and sound footing, while his achievements and reforms in all sectors would naturally take care of his reelection to consolidate on the achieved successes. “My reelection is not as important as doing the right thing; posterity will judge us. From all indications, we are very scientific, we don’t guess in the dark. “In spite of all the risks we have taken and all the people we are supposed to have upset, the election on March 2, 2019, as far as Kaduna State is concerned, is almost a done deal,” he said. In the economic sector, he said his administration has created lots of jobs and empowered the women folks with soft loan with plans to do more going forward. He also informed that plans are under way to recruit no fewer than 3,000 health workers to further boost the health sector.